This book is a compilation, in simple and practical manner, of all letters a person may use to express his views/idea/opinion on all occasions, such as, personal, social and business. The course is intended to be completed within 30 days. The book comes along with a CD that contains the English translation of all Hindi letters included in the book. The book contains sample of informal letters (personal letters, and letters to family, friends and relatives etc.) and formal ones (addressed to government, non-government, business, editors etc.). 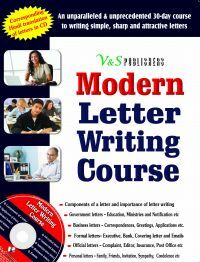 This book will be found quite useful in writing quality: and impressive letters in every field.